PokerStars changes its policy to restrict or prohibit many third-party poker software and other tools. Learn why PokerStars has changed its policy about third-party software tools. 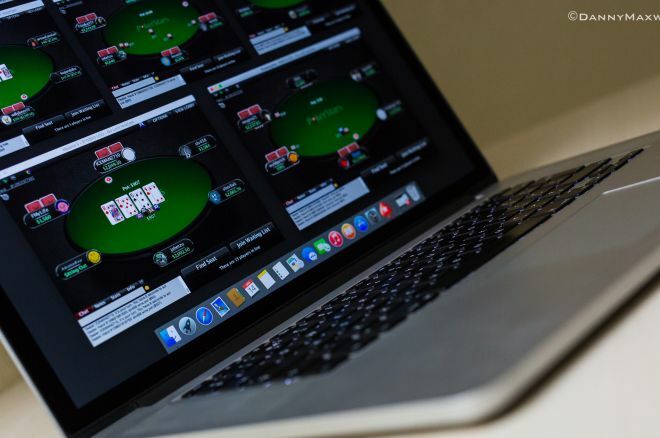 The world biggest real-money online poker room, PokerStars, has announced changes to its policy, which will restrict or prohibit many third-party poker software and other tools. In a lengthy TwoPlusTwo thread titled 3rd Party Software on PokerStars: Proposed Rule Changes, PokerStars Sit & Go and Tournament Manager Baard Dahl announced changes expected to take place as early as Oct. 1. "Reference material, such as starting hand charts, now have to be 'basic in nature,'" Dahl began. "Anything considered to be sophisticated in nature can no longer be used whilst the client is open." It is believed players will still be allowed to use push/fold charts and other related material. However, where the changes will likely affect the most players is regarding what HUDs are to display. "HUDs are no longer permitted to display non-numerical data, categorize players or dynamically display statistics specific to a certain situation," Dahl explained. "Hand or Situation Analyzers, such as programs that compute equities of various ranges of hands against one another, can no longer be used whilst the client is open." To further complicate things, players using color-coded HUDs will now be restricted to two different thresholds per stat or three colors in total. This has some software and HUD developers up in arms as they have spent many hours developing software using many colors to assist their players. Table Selection and Seating Scripts can no longer time a player’s registration into a global waiting list. TwoPlusTwo poster "Crzzy2000" is one unhappy about the announced changes. "I just want to mention here that I am a PT4 HUD developer and the most recent update has screwed me hard. HUD: PokerStars/Full Tilt: Only three conditions are now used when coloring HUD stats for PokerStars/Full Tilt due to new rules. The first two are user defined and the third is a catch-all default color. To my knowledge this is only in effect when updating to (PokerTracker) v4.14.6. Essentially if anyone has purchased/made a HUD with more than 2 colors, this will screw everything up." Another change that was announced is that, "Game State Reporters can no longer automatically or semi-automatically retrieve information from an otherwise permitted reference material. For example, tools can no longer notify an end-user that their starting hand lies in Group 1 of a statically defined grouping of hands." This suggests tools that react to game-play in motion, instead of just static information on opponents and the table before a hand begins, will be prohibited. The announced policy changes are also believed to affect programs which enable automatic betting sizes based on the action in front of them. Some players feel this is too restrictive on what they believe is a basic feature. TwoPlusTwo poster "The Imp" elaborated by stating, "Table Optimizer has had to remove most of the preset bet amounts such as 3-bet, 4-bet, squeeze, and post-flop bet sizes based on limped, raised, and 3-bet pots. I'd guess all other similar programs will follow suit. So after hundreds of pages of people complaining about advanced NoteCaddy features/badges, seating scripts and pseudo-bots the main change implemented is to remove a basic feature of most programs which no-one complained about, has been in use for 10 years and is basically in the Stars client (as bet size buttons). Seriously wtf?" Most players, however, should be pleased with another announcement. "Table Selection and Seating Scripts can no longer time a player’s registration into a global waiting list," Dhal revealed. "They must register players into specific tables or tournaments." This change is designed to protect the weaker players on the online poker network, which is not only good for those players but for all players on the network. Dahl also highlighted that currently general seating scripts will continue to be allowed, however, this might not be the case forever. "We are going to be looking at prohibiting all seating scripts in the future once this round of revisions has settled down and we are able to discuss the most effective solutions to limit their ongoing usage," Dahl pointed out. The one notable exception to this is that seating scripts for lottery-style Spin & Go games will be prohibited. "The game type where ‘players are unable to select or register to a specific table’ is, of course a reference to the Spin & Go tournaments. And as a result of this policy change, effective October 1st, SpinWiz and other related software that is aimed at game selection in these games, will be prohibited." While there hasn't been much player reaction to this announced change, it is hard to argue that it's not both good for players and the network itself. Unfortunately, many of the tools and tactics that professionals use to maximize their edge have made the games too difficult for new players to survive. Most believe the catalyst for the changes was due to public outcry regarding a controversial software aid developed by PokerStars player "skier_5", one that allowed him dominate heads-up sit-and-go's, along with the reporting of a suspected Russian bot ring which illegitimately won $1.5 million from unsuspecting players. However, PokerNews has learned that policy changes were already in the works prior to these two well-publicized issues. On June 11, PokerStars Poker Room Manager Steve Day asked the poker community to share their thoughts on proposed changes the online poker room could make to their terms of services, specifically ones that would prohibit or restrict certain third-party software. Those changes aren't much different than the ones now planned. At the time, players reacted with a wide variety of opinions ranging from all third-party software and tools being prohibited to everything should be allowed since its too tough to police. Most poker players that chimed in believed it should be something in between. On July 7, Day announced that PokerStars was going to methodically implement changes relating to third-party tools in the near future. It is believed that the reasons to not do so immediately was to further investigate how to best implement these changes, while also providing a fair and ample warning to some third-party software developers. In general, these changes should prove to be good for recreational players who may not be aware of such tools and how they may have been used against them. PokerStars isn't the only network to recently announce software changes. In September, the Microgaming Poker Network (MPN) announced that they were going to allow players to change their screen names every 30 days or 1,000 real-money hands. MPN clearly stated the reason for this was to protect players from being preyed upon by combat parasitic players who were using data-mined hands, along with seating scripts. Head of Poker at Microgaming Alex Scott announced in a blog that, "These changes are working." Additionally, Full Tilt, the sister site to PokerStars recently implemented changes during the summer where players now select the stakes and games they want to play but can no longer directly choose which tables to sit at. Additionally, partypoker also announced the most restrictive changes earlier today. Players will be unable to use poker tracking software or HUDs on the online poker network. Players will still be able to view their past hands within the Missions icon in the partypoker software, however, hand histories will no longer be locally stored and there will be no method to download such hands. Furthermore, partypoker announced that player names will no longer appear until the first hand is dealt. Also, to combat seating scripts, partypoker has implemented a room-wide waiting list, instead of players waiting to be seated at a specific table. Partypoker Ambassador Tony Dunst believes these changes are good for the poker ecology and players in general. "These changes at partypoker are designed to create a more hospitable environment for recreational players," Dunst said. "Unfortunately, many of the tools and tactics that professionals use to maximize their edge have made the games too difficult for new players to survive. Without them, grinders will merely pass money back and forth while being raked, and games will inevitably dry up. I think these changes will help level the playing field for casual players, and preserve the quality of games for professionals." Let us know what you think of the changes at PokerStars and other major online poker networks in the comments box below.